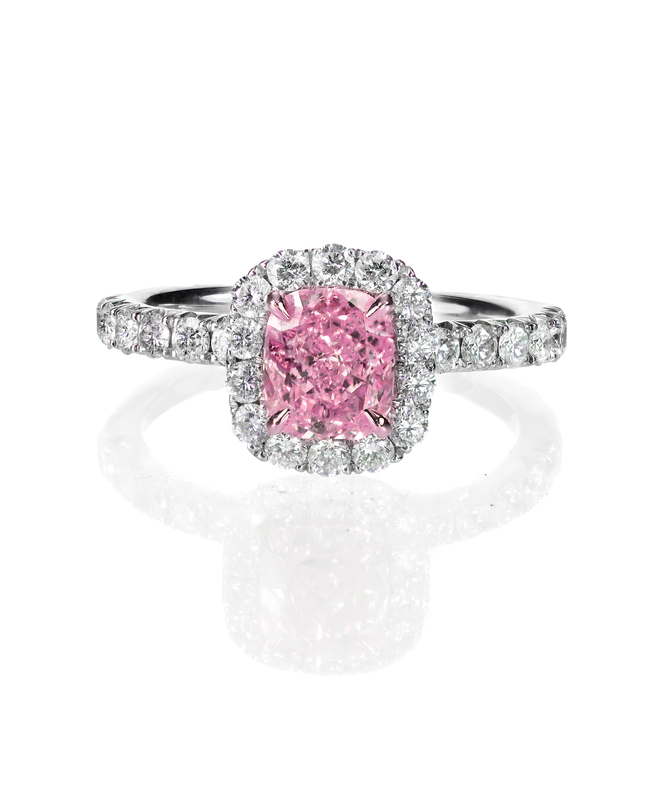 Christie’s New York spring sale will feature an 8.42-carat, fancy intense pink diamond ring, estimated at between $4 million and $6 million, the auction house said. “The cut-cornered rectangular modified brilliant-cut, VVS1-clarity stone has the potential to be recut to internally flawless, according to Christie’s. Two tapered baguette-cut diamonds surround it on either side. Other notable lots include an oval-cut, 22.76-carat, D-color, type IIa, VVS1 “thread” ring, designed by JAR, estimated at $2.5 million to $3.5 million, the sale of which will benefit the Art for Justice Fund. The Magnificent Jewels event will also include signed period and modern pieces by Boucheron, Bulgari, Cartier, David Webb, JAR, Harry Winston, Tiffany & Co. and Van Cleef & Arpels.” reported by Rapaport. Christie’s will sell the jewels in a live auction on April 17, as well as online from April 10 to 19. It will preview the pieces at its Rockefeller Center galleries from April 13 to 16.